PROFESSOR WALTER MCNICHOLAS is Newman Clinical Research Professor at University College Dublin (UCD), Director of the Pulmonary and Sleep Disorders Unit and Consultant Respiratory Physician at St. Vincent’s University Hospital, Dublin, Ireland. 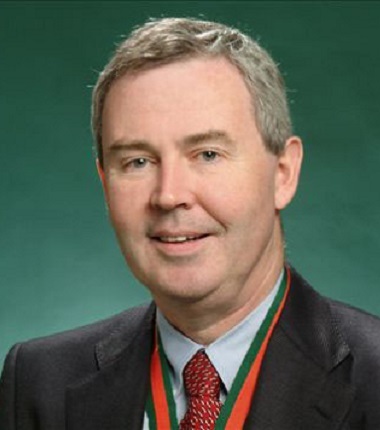 He is a medical graduate of UCD (1974) and has a long established track record in high-level research and leadership. He has wide experience in translational research on the mechanisms and consequences of sleep-related breathing disorders particularly sleep apnoea, and has held competitive grants from agencies such as the Health Research Board (Ireland) on a continuous basis for close to 30 years. His research interests include the pathophysiology, treatment and outcomes of sleep apnoea syndrome, the cardiovascular and metabolic consequences of the disorder, basic cell and molecular mechanisms and consequences of intermittent hypoxia, in addition to sleep disturbances in COPD and other chronic respiratory disorders. He is also closely involved in the evaluation of novel ambulatory monitoring devices for sleep disorders. He is a past Associate Editor of the European Respiratory Journal and is an editorial board member of several international sleep and respiratory journals. Prof. McNicholas has held many Leadership positions in National and International organisations, particularly President of the European Respiratory Society (2003-2004), and is current Vice President (Clinical) of the ESRS and President of the European Board of Accreditation in Pneumology. He chaired a COST Action (B26) on Obstructive Sleep Apnoea (2005-2010), and recently chaired a Working Group established by the European Commission on Sleep Apnoea and Driving (2012-2013), which is expected to lead to an official European Union (EU) Directive establishing specific criteria for the provision and retention of driving licenses to patients with sleep apnoea.